Would you like to have Hairy Dawg on your iPhone, iPod or iPad? Well now you can with the new app Mascot Talk from Mascot Books. Mascot Talk features Hairy Dawg from the University of Georgia. Mascot Talk allows users to download their favorite collegiate, professional, and even elementary or high school mascots to their mobile devices. 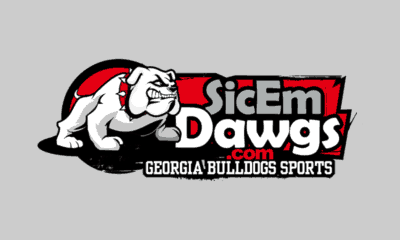 Hairy Dawg will repeat what the user says and is animated to signal “touchdown.” Users can select Sanford Stadium or UGA Arch as backgrounds and send their videos to friends via email and Facebook. “Mascot Books began publishing children’s books starring mascots in 2003 including “Hello, Hairy Dawg” and “How ‘Bout Them Dawgs!” by Vince Dooley. We’re always looking for new ways to bring mascots to life and Mascot Talk creates a great opportunity to unite fans and their favorite mascots,” said Naren Aryal, CEO of Mascot Books. “Under license agreements with collegiate and professional sports teams, we’ve built a creative and fun application that presents an novel way for teams to reach their target audience. Fans will have a blast sharing messages delivered by their favorite mascots,” added Aryal. In addition to Hairy Dawg, Mascot Talk is launching with several other high-profile collegiate mascots including: The Nittany Lion (PSU) Mike the Tiger (LSU), Rameses (UNC), Albert (Florida), Brutus (Ohio State), and Hokie Bird (Virginia Tech). By the end of September, Mascot Talk will include fifty of the most popular collegiate mascots in America. “This is just the beginning for Mascot Talk. In addition to collegiate mascots, we’ll soon feature mascots for professional teams worldwide, as well as K-12 school mascots. The app will also give authors who publish through the Mascot Books Author Program a way to animate characters from their books,” said Aryal. Mascot Talk is available for free download now at the Apple iTunes store for the iPhone and iPod Touch. Additional mascots, which includes Hairy Dawg, are available for $1.99 each. To learn more about Mascot Talk, visit www.mascotbooks.com.